The Public Philosopher: Why Democracy? Michael Sandel, professor of government at Harvard University, is known globally for the rigour he brings to important ethical and philosophical questions. He uses live audiences to help address such questions in his Radio 4 series The Public Philosopher. 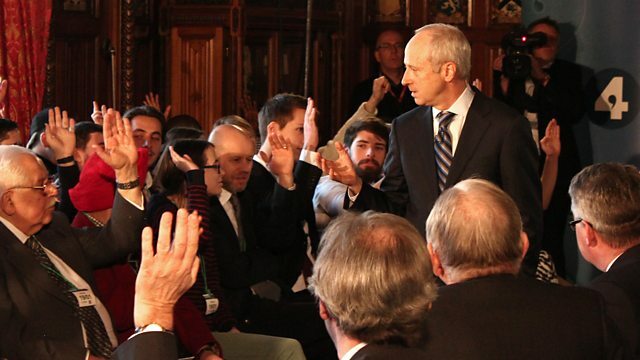 Prof Sandel presented a special edition of the programme, recorded in the Palace of Westminster with an audience of MPs, peers and the public, as part of the BBC’s Democracy Day. He posed the question: why democracy? This is a longer version of the recording broadcast on the Today programme. Democracy Day: Can modern democracy withstand threats to destabilise it? Has The Sun dropped Page 3?